His great-grandchildren made Mr. Laing’s hope a reality in August by placing a conservation easement on the property; it permanently protects 2,833 acres of forestland. The family worked with the Virginia Department of Forestry (VDOF), the U.S. Forest Service Forest Legacy Program and the New River Land Trust to conserve the property. Known as the Little Stony Tract, the property helps protect the natural and recreational resources in the area. It is adjacent to the Appalachian Trail, the Mountain Lake wilderness, and the Jefferson National Forest. Over 19 miles of pristine streams on the property drain into Little Stony Creek, which flows over the Cascades waterfall and then goes to the New River. The popular Cascades National Recreation Area sees over 35,000 visitors a year. The streams on the property have large buffers of trees, which protect water quality downstream. The large forest provides habitat for abundant wildlife. There are rare, threatened and endangered species that live on the property, including 12 species identified by Virginia’s Natural Heritage Program. Rare orchids, ferns and butterflies thrive there, as do many species of birds. 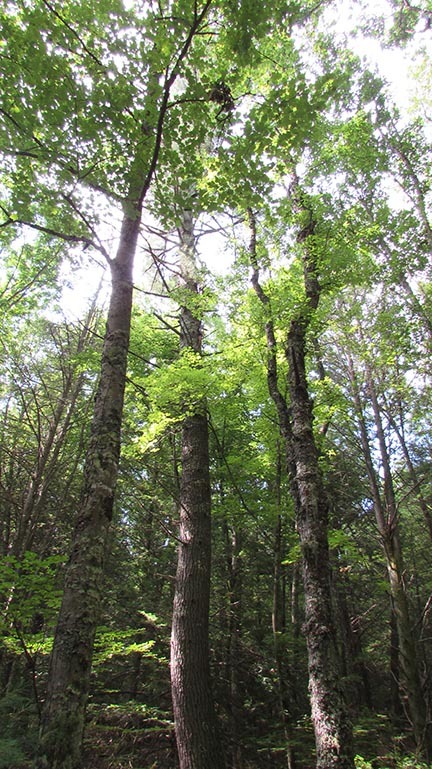 The forestland addresses global concerns related to climate, water and air quality. The Land Trust used the InForest model to calculate the benefits of the large area of forest: it retains nitrogen, phosphorus and sediment and sequesters hundreds of thousands of tons of carbon dioxide. The land also removes 200,000 lbs. of pollutants from the atmosphere each year. Conservation of the property took over 5 years. 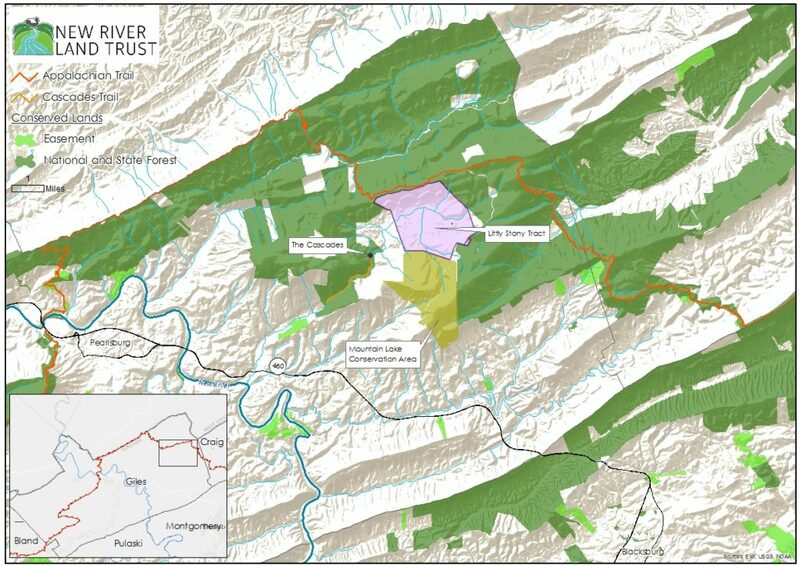 In 2012, the New River Land Trust created a conservation prioritization model for the region. The model identified the Little Stony tract to be one of the most important in Giles from a conservation standpoint. The Land Trust reached out to the landowners and met with primary owner Charles Dorsey in 2013. John Eustis, Executive Director of the Land Trust, advised Mr. Dorsey that a Forest Legacy grant, a national program funded by the Land and Water Conservation Fund, would be the best program for conserving the property. The Land Trust served as the applicant for the highly competitive nationwide grant process. It took a lot of preparation and two attempts, and the project received funding in 2017. “Protection of this incredible property is testament to the family’s conservation ethic and love for their land,” John Eustis said. “This conservation easement not only protects this beautiful landscape and all of the natural resource values that are present but it also preserves the land stewardship ethic that this family has demonstrated through their wise management of the forest and other resources. Judge Dorsey and his family’s generosity will benefit generations of Virginians to come,” said State Forester Rob Farrell.